Rob is Head of teaching for TFT and oversees the speaking team. Rob heads up TFT’s speaking ministry. He regularly speaks at churches, conferences, student events, & Bible Colleges throughout the UK. Rob co-authored Satisfaction Guaranteed. He enjoys spending time with friends and studying theology & Hebrew in his spare time. 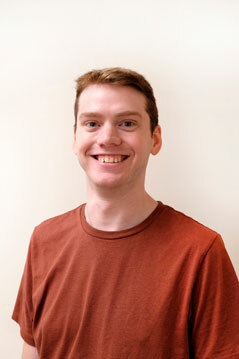 During his three years on the TFT staff team, he has tried to think of something witty to add into this bio. He has failed to do so. You can send a quick message via the box on the right.